Full name JAMES ALLEN HOYT...Single...Graduated from Boise High School (Idaho) in 2005, earning letters as a pitcher and a first baseman...Following high school, attended Palomar Junior College in California...Redshirted as a freshman in 2006 before playing two seasons (2007-08) with the Comets...Transferred to Centenary College of Louisiana following the 2008 season... Off-field hobbies include golfing, fishing and hiking....Is a Boise State football fan and grew up a fan of the Seattle Mariners growing up in Idaho. Was acquired by Cleveland from the Houston Astros on July 6 for a Minor League pitcher, Tommy DeJuneas...Spent most of the 2018 season in AAA Fresno, posting 5 saves and a 2.25 ERA in 25 relief outings (28.0IP, 19H, 7ER, 8BB, 33SO, .192 avg)... Following the trade, he was limited to three outings with Triple-A Columbus due to a right knee injury and did not pitch after July 19...Was placed on the 60-day D.L. on Sept. 4 ... Began the year on the 10-day D.L. 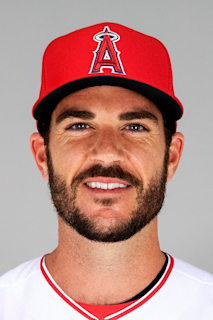 with a strained oblique suffered in spring training...Was on the Houston club, April 10- 16, and made only appearance for the Astros on April 11 at Minnesota (0.1IP, 1H, 0R) and owns a career Major League ERA of 4.40 in 66 relief appearances since 2016, all with Houston (71.1IP, 68H, 35ER, 24BB, 94SO, 11.8 SO per 9.0 IP, .246 avg)... Did not allow an earned run over his last 8.0 IP with Fresno ... Underwent a right knee arthroscopic debridement (Dr. Rick Parker) and right elbow arthroscopic debridement (Dr. Mark Schickendantz) on Sept. 19th at the Cleveland Clinic. Improved in almost every category in his second season in the Majors...went 1-0 with a 4.38 ERA (24ER/49.1IP) and 66 strikeouts in 43 games...set career highs in games, innings, strikeouts, holds (7), strikeouts per 9.0 innings (12.04) and strikeout to walk ratio (4.71)...also set career-best marks in ERA and walks per 9.0 innings (2.55)...began the season with Triple A Fresno and had three separate Major League stints with the Astros...recalled to Houston on April 20 and optioned to Triple A on July 24...recalled again on Aug. 4 and optioned on Aug. 26...received his final recall of the year on Sept. 6...earned the win and went a career-high 2.0 innings, recording a career-high five strikeouts on May 2 vs. TEX...struck out four batters in consecutive outings from June 11-14...in two stints at Triple A Fresno, went 2-0 with a 1.93 ERA (3ER/14IP), four saves and 18 strikeouts in 13 appearances. Pitched in 22 games over the final two months of the season across two stints with the Astros...struck out 28 batters in his 22.0 innings for an 11.45 strikeout per 9.0 innings...marked the fourth-highest strikeouts per 9.0 innings ratio by an Astros rookie in club history (min. 20IP)...trailed only RHP Michael Feliz (13.15 in 2016), RHP J.R. Richard (12.43 in 1971) and LHP Billy Wagner (11.67 in 1996)...was selected to the Major League roster from Triple A Fresno on Aug. 3...optioned to Triple A on Aug. 19...recalled to Houston for a final time on Sept. 2... made his Major League debut on Aug. 3 vs. TOR...at 29 years, 208 days old, became the second-oldest pitcher in club history to make his Major League debut, behind RHP Don Bradley (29 years, 357 days old in 1964)... earned his first Major League win on Sept. 6 at CLE after tossing 1.1 scoreless innings, striking out two... posted a 2.70 ERA (4ER/13.1IP) with 19 strikeouts in 19 games over his final stint with the Astros (beginning Sept. 2)... was a Pacific Coast League Midseason and Postseason All-Star, posting a 4-3 record with 29 saves in 32 chances, a 1.64 ERA (10ER/55IP), .154 opponent batting average, 19 walks and 93 strikeouts in 49 appearances at Triple A Fresno...was the only relief pitcher named to the PCL Postseason All-Star Team...led the PCL in saves, falling four saves shy of the modern PCL record of 33...also led all Triple A pitchers in strikeouts per 9.0 innings (15.22) and strikeout rate (43.9%) (min. 50IP), while leading all PCL relievers in ERA, opponent batting average and WHIP (min. 50IP). April 3, 2019 Columbus Clippers placed RHP James Hoyt on the 7-day injured list. December 1, 2018 Cleveland Indians signed free agent RHP James Hoyt to a minor league contract and invited him to spring training. December 1, 2018 RHP James Hoyt assigned to Columbus Clippers. November 30, 2018 RHP James Hoyt elected free agency. November 2, 2018 Cleveland Indians activated RHP James Hoyt from the 60-day disabled list. September 4, 2018 Cleveland Indians recalled RHP James Hoyt from Columbus Clippers. July 20, 2018 Columbus Clippers placed RHP James Hoyt on the 7-day disabled list. July 6, 2018 Houston Astros traded RHP James Hoyt to Cleveland Indians for RHP Tommy DeJuneas. July 6, 2018 Cleveland Indians optioned RHP James Hoyt to Columbus Clippers. April 18, 2018 Houston Astros optioned RHP James Hoyt to Fresno Grizzlies. April 10, 2018 Houston Astros recalled James Hoyt from Fresno Grizzlies. April 7, 2018 Houston Astros optioned RHP James Hoyt to Fresno Grizzlies. April 5, 2018 Houston Astros sent RHP James Hoyt on a rehab assignment to Fresno Grizzlies. March 29, 2018 Houston Astros placed RHP James Hoyt on the 10-day disabled list retroactive to March 26, 2018. Left oblique strain. November 2, 2017 Houston Astros activated RHP James Hoyt. October 5, 2017 Houston Astros reassigned RHP James Hoyt to the minor leagues. September 6, 2017 Houston Astros recalled RHP James Hoyt from Fresno Grizzlies. August 27, 2017 Houston Astros optioned RHP James Hoyt to Fresno Grizzlies. August 4, 2017 Houston Astros recalled James Hoyt from Fresno Grizzlies. July 25, 2017 Houston Astros optioned RHP James Hoyt to Fresno Grizzlies. April 20, 2017 Houston Astros recalled James Hoyt from Fresno Grizzlies. March 31, 2017 Houston Astros optioned RHP James Hoyt to Fresno Grizzlies. September 2, 2016 Houston Astros recalled James Hoyt from Fresno Grizzlies. August 19, 2016 Houston Astros optioned RHP James Hoyt to Fresno Grizzlies. August 3, 2016 Houston Astros selected the contract of James Hoyt from Fresno Grizzlies. January 1, 2016 Houston Astros invited non-roster RHP James Hoyt to spring training. September 27, 2015 RHP James Hoyt assigned to Cardenales de Lara. June 12, 2015 Fresno Grizzlies activated RHP James Hoyt from the 7-day disabled list. May 16, 2015 Fresno Grizzlies placed RHP James Hoyt on the 7-day disabled list. February 13, 2015 RHP James Hoyt assigned to Fresno Grizzlies. February 13, 2015 Houston Astros invited non-roster RHP James Hoyt to spring training. January 14, 2015 Atlanta Braves traded C Evan Gattis and RHP James Hoyt to Houston Astros for RHP Mike Foltynewicz, 3B Rio Ruiz and RHP Andrew Thurman. October 17, 2014 RHP James Hoyt assigned to Gigantes del Cibao. August 29, 2014 RHP James Hoyt assigned to Mississippi Braves from Gwinnett Braves. June 19, 2014 RHP James Hoyt assigned to Gwinnett Braves from Mississippi Braves. March 13, 2014 RHP James Hoyt assigned to Atlanta Braves. September 23, 2013 Mississippi Braves activated RHP James Hoyt from the 7-day disabled list. June 21, 2013 RHP James Hoyt assigned to Mississippi Braves from Lynchburg Hillcats. April 2, 2013 James Hoyt assigned to Lynchburg Hillcats. November 15, 2012 Atlanta Braves signed free agent RHP James Hoyt to a minor league contract. November 1, 2012 RHP James Hoyt elected free agency. June 30, 2012 Olmecas de Tabasco signed free agent RHP James Hoyt.